Sundance Multiprocessor Technology Ltd. was established in 1989. Our strategy is to produce a comprehensive range of well engineered products for the high-performance embedded processing market for Robotics, Vision, Motion and Sensor application. Our first products were designed for the parallel processing market. The product portfolio included PC add-in boards and modules. Sundance rapidly developed and built a wide range of processor modules and boards on industry standard form-factors, like PC/104, PXIe, FMC and OpenVPX. The range included many special purpose modules and allowed Sundance to act as a ‘one-stop’ shop for system designers and manufacturers. Today, the Sundance product range includes modular systems based on the Texas Instruments KeyStone range of multicore DSPs, as well as the Xilinx Zynq multicore SoCs and Xilinx’s Series-7 FPGAs. High-performance computers and Digital Signal Processors (DSPs) are increasingly being used to address a diverse range of automation tasks. Typically, the applications which benefit include real-time control, robotics, image processing and pattern recognition. Digital signal processing brings the benefits of increased efficiency, higher quality and lower running costs to many manufacturing and industrial organisations. Sundance Multiprocessor Technology Ltd. has a leading role in the marketing and development of sophisticated products which meet the myriad requirements of system builders. The Sundance range of boards and modules offers a fast turn-around and economical means of solving end-user requirements. Cost – Boards can be re-used, and components of installed systems can be upgraded and changed without the expense of replacing the entire system. Many companies choose to focus on what they offer to the customer by way of solutions and skills. System providers and niche market OEMs often sub-contract their computer hardware design. If your application has unusual requirements, Sundance has the skills and resources to specify, design, manufacture and test a custom solution for you. Once the basic engineering concept has been agreed, Sundance will rapidly develop an ‘optimised’ system or board to meet your performance, size or environmental constraints. Our design engineers will help you to develop a specification that meets your requirements, whilst making every effort to ensure that your product conforms to appropriate industry standards. By doing so, your product will be re-useable in future system-building applications. As a result, you will enjoy the benefits of both compatibility and an optimised solution, along with a fast, cost-effective route to market. All designs are implemented using surface mount technology, resulting in lower costs, compactness, increased reliability and lower power consumption. The design and manufacture of efficient and reliable systems, using leading-edge DSPs, is a complex and demanding task. The Sundance team of engineers has many years’ experience in designing a range of DSP architectures. Digital cameras offer significantly higher quality images than traditional analogue cameras. This is especially advantageous when they are used as inputs for DSPs. Sundance has developed a range of digital video capture systems. Sundance makes extensive use of Field Programmable Gate Arrays (FPGAs), as these products enable rapid prototyping and development. In addition, they allow standard products to be tailored to meet specific customer requirements. In many applications, parallel architectures are the only method of achieving a viable solution. Sundance has been designing both large and small parallel systems since the company’s formation. Sundance is an ISO9001-2015 certified company. This standard specifies the requirements to a quality system, which includes all important parts of a company such as design, production service and sales. All spheres and working processes are involved in the system of total quality management. ISO9001-2015 has become an important criteria in production engineering to maintain standards in the international market. 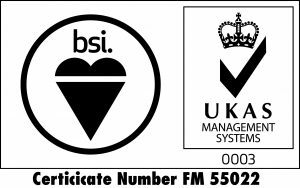 For more information on the ISO9001-2015 standard, and all other quality standards, please visit the BSI (British Standards Institute) website.